Torc Mountain W Top is the 661st highest place in Ireland. Torc Mountain W Top is the second most northerly summit in the Mangerton area. Picture from Harry Goodman : A view of Torc Mt. W Top looking SW over the Upper Lake from the Torc Mt path. 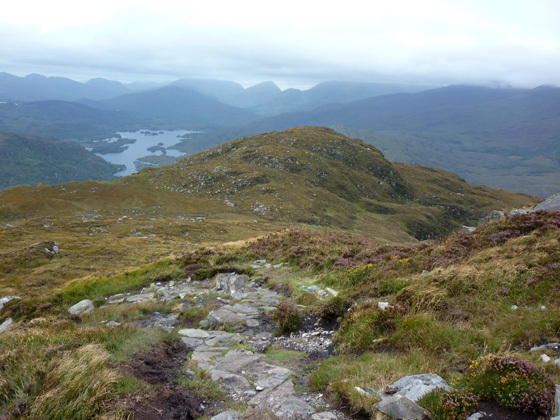 Picture: A view of Torc Mt. W Top looking SW over the Upper Lake from the Torc Mt path.